Thank you Tyler Paper for covering this for us! We are super excited about the PLAYhouse project! Robert E. Lee High School students have the opportunity to learn architecture and work as a team in a partnership to design and build playhouses on Nov. 13. The school teamed up with Fitzpatrick Architects to learn how to accomplish their goals. Inside the construction technology facility at Robert E. Lee High School, students work diligently on four wooden playhouses. Four playhouses designed and built by Robert E. Lee High School students with the help of local architects and contractors are being auctioned off to benefit Habitat for Humanity of Smith County. Click HERE to place a bid. The deadline is 5 p.m. Dec. 17. Some paint with rollers. Others prepare materials for spray painting. And others stand on ladders working on the uppermost parts their projects. The construction technology students are part of a group who, along with the architecture students, are working on the PLAYhouse project. The project is a joint venture between Fitzpatrick Architects and Tyler ISD. Its purpose is to give high school students a glimpse of future professions while benefiting a local nonprofit organization. 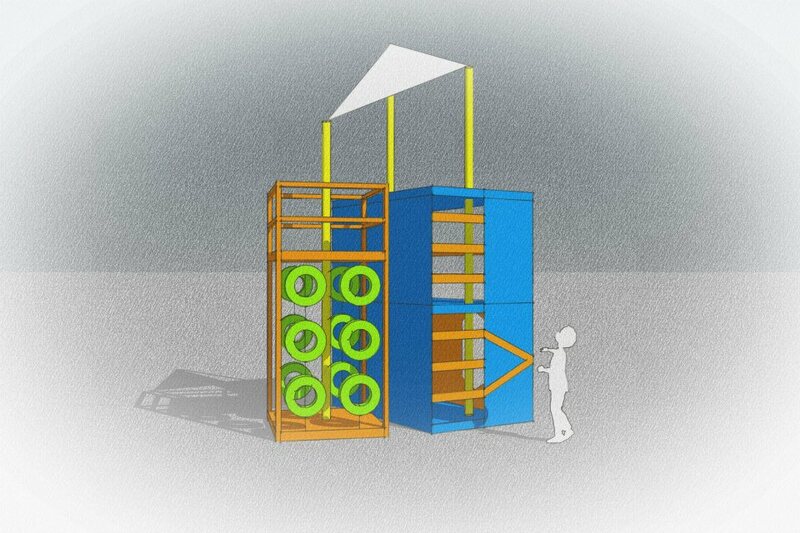 Architecture students designed the structures with assistance from Fitzpatrick Architects. Construction students built them as part of their class at Lee and were mentored by several local contractors, who sponsored each playhouse. 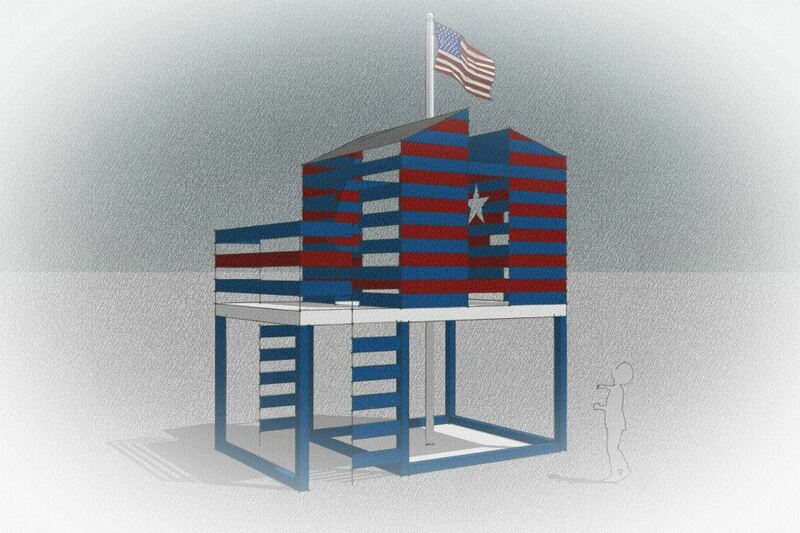 The four playhouses will be auctioned off to benefit Habitat for Humanity of Smith County. The auction already is open for bids; the deadline to place one is 5 p.m. Dec. 17. The playhouses are scheduled to be unveiled this week at FRESH By Brookshire’s in Tyler. 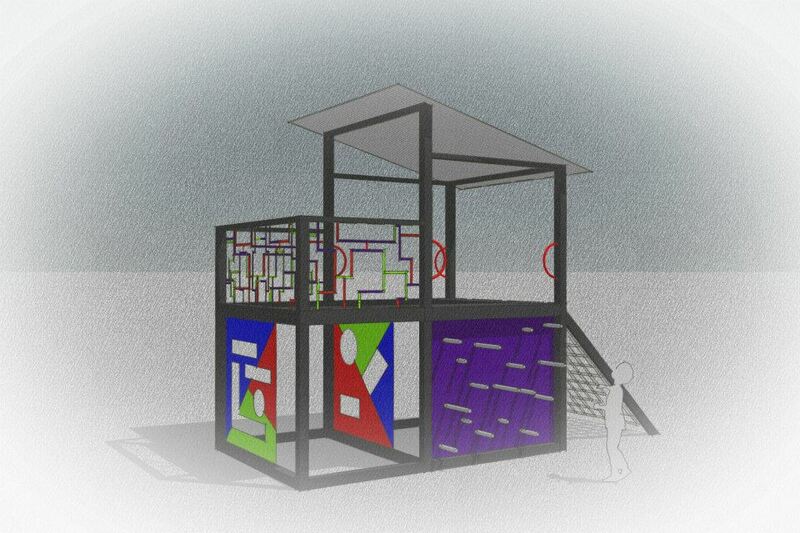 With bold colors and creative designs, the playhouses were modeled after those that incorporate elements and principles of architecture, according to a Facebook page about the project. The house design names are Shipwreck, Zipline, Rocket Ship and Flag house. On a recent school day as construction students worked on the project, they talked about what they have learned from it. Junior Kolten Wiggins, 17, said he and his classmates have learned how to use different saws and tools. They learned about roofing and how to make the angles for it. Sophomore Logan Everett, 16, said he learned how to cut a pipe and use a table saw. Kolten and Logan worked on the rocket house. Lee junior Austin McCarty, 16, said he and his classmates have learned how to use a level and different saws and measure correctly. They also learned about roofing and how to paint. He said it is cool to see the finished product and know that they’re helping kids have a better, more active playtime. Although the architecture students completed their part of the project weeks ago, they recently stopped by the shop to see the progress. Eighteen architecture students work-ed on five designs, four of which were selected for construction. 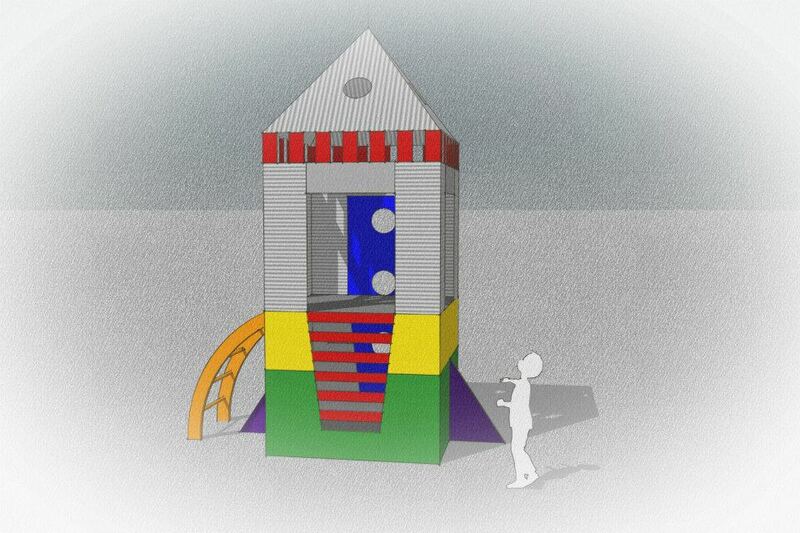 Students worked in teams to design the houses, using pictures of playhouses online for inspiration. Partners with Fitzpatrick Architects talked to them about the playhouses, encouraging them to think outside the box as they went through the design process, the students said. Junior Matthew Evans, 17, said the project taught him about being realistic in his design because the construction students had to be able to build it. Senior Austin Myles, 18, said he learned about how to respond when an idea is shot down and to think about the next step, such as the people who are going to build the design. Bobby Richardson, Lee’s vocational construction teacher, said students have learned and developed new construction skills through this project. “My desire is that they feel successful and that they’re able to do some things when they get out (of) here that they might not have been able to do before,” he said of his class. He said the project provided an opportunity for involvement with the community and for the students to work together, show maturity and learn from industry. “This is pretty much as good on-the-job training as you can get,” he said. Brandy Ziegler, an architect and partner of Fitzpatrick Architects, said in September after the project’s kick-off that she hoped it would be a positive way to support the education system and community. “This is something we hope to repeat every year,” Mrs. Ziegler said. This entry was posted in Uncategorized and tagged architecture, Robert E. Lee, wooden playhouses on November 27, 2012 by Smith County Habitat. PLAYhouse is a joint venture between Fitzpatrick Architects and The Tyler ISD Career and Technology Department. Fitzpatrick Architects, acting as mentor to the architecture / construction departments at TISD created a freshman level college studio curriculum where students design and build (with professional assistance) up to 4 playhouses. The PLAYhouses will be on display at Fresh on November 29th! If you’re looking for amazing Christmas gifts, take a look at the pictures below. To get more information and see behind the scenes footage of the PLAYhouse’s being built, click here. This entry was posted in Uncategorized and tagged architecture, arts, Fitzpatrick Architects, Flaghouse, Fresh, freshman level, Habitat for Humanity of Smith County, illustration, Playhouses, Rocket Ship, Shipwreck, studio curriculum, Tyler TISD, Zipline on November 20, 2012 by Smith County Habitat.